In her short professional career, Shama Hyder has used social media to build credibility, generate buzz and increase revenue for her business. Now she’s here to share with you how you can, too. Shama is a sought after, well-resepected presenter on social media marketing for business. She’s the author of The Zen of Social Media Marketing, and runs her own social media consultancy company. Social media is an accelerant if you wish to become known as an expert in your field. It allows you to become a thought leader in your industry in a shorter time. Consistency is important and trumps variety (at least in terms of the number of platforms you’re on.) Better to be consistently present in one channel than sporadic in all. Basics must come first. Why are you using social media? What are the business goals for being there? Leads? Awareness? Knowing this will help you determine how to best spend your time on which platforms. Buzz is important to any small business. Whether you are a professional speaker or run a diner, if no one is talking about you, you’re dead in the water. Depending on your industry or business, where you need to generate buzz may differ. Social media can increase revenues. However, it’s unlikely to work immediately, and it’s best used to build trust so that you’re more likely to make the sale. Marketing Zen Group: Learn more about Shama and her company at their website. Shama.tv: Be sure to check out and subscribe to Shama’s online video channel! Never miss another episode of The Marketing Agents Podcast! You can head on over to iTunes now and subscribe! Want to appear on page one of search results and increase your conversion rates? 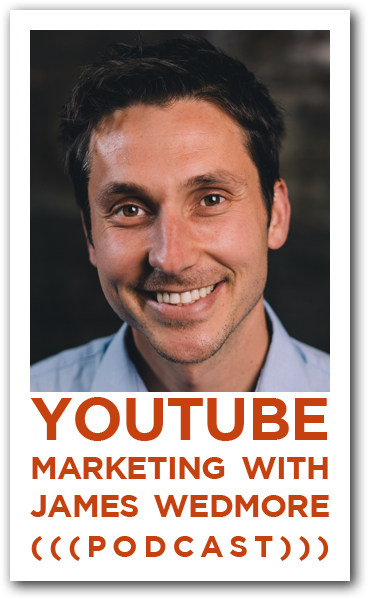 The secret is YouTube marketing, and in the first episode of The Marketing Agents Podcast, James Wedmore shares all. If you haven’t yet, be sure to head on over to iTunes to subscribe to The Marketing Agents Podcast! The Agents of Change Digital Marketing Conference: Join James Wedmore and dozens of marketing experts for the 2nd annual Agents of Change conference! In Portland, Maine, or online! Early bird tickets available through 7/31/2013. How to review a podcast on iTunes: Coming soon! CompFight.com: The best place to get free images for your business blog, website or slide deck. Google Keyword Tool: How to find the right keywords for your video. James Wedmore’s YouTube channel: Be sure to check out James’s favorite place to hang out online and subscribe to his channel.